The magic of the Beatles and of music - how do you TOP that? - legend. 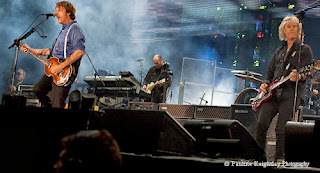 Paul enjoyed playing to the Hampden crowd, and paused over the entrance moment while a lead was fixed. He often makes eye contact, not only do you feel the love and that he adores doing the live shows. As with the Beatles songs, it all feels personal even in this massive crowd. Many songs (and not only Hey Jude) were about the audience singing along with that communal live gig experience. 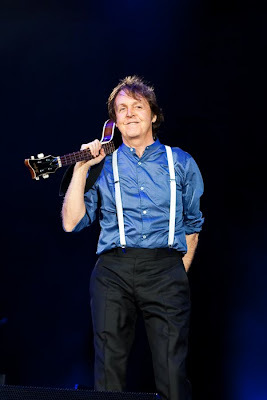 He did most of the classic Beatles I hoped to hear 'Eleanor Rigby', 'Blackbird', 'A day in the Life' that became 'Give Peace A Chance'...'I've Got a Feeling', 'Paperback Writer', more, more... some with the full band, some with only Paul and guitar, and some at the grand piano. Songs included 'Rock n Roll it To You' a tribute to Hendrix. He paid tribute to his band mates Lennon and George. He talked of George's ukulele and his version of Harrison’s perfect 'Something' was very moving I thought. . At one point he said that he never would have thought growing up he would ever talk with the Russian Defence minister, and he said to Paul, 'We learned English through the Beatles songs.' 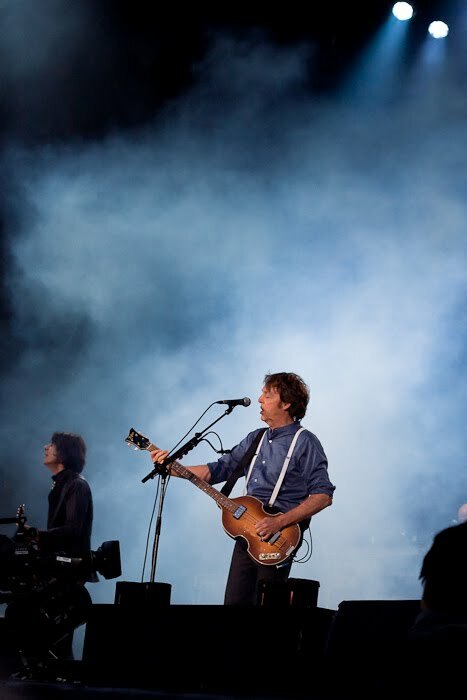 Paul's music isn't about sending out any idealist message - more about the love and peace we might all hope to share, and having fun with life! 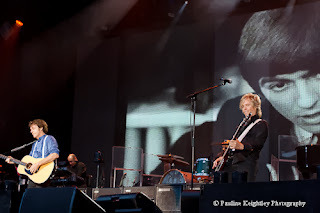 His band seemed to enjoy playing with Paul and they performed for two and a half hours, and the set covered the whole range of Paul's music, through early Beatles to Wings. The music brought back the 60s and those origins of pop music. Paul seemed as full of love and life and music as ever, and I can feel that sense of 'magic' that was part of the Beatles there on stage. I met my old primary school friend for the gig, and we sat on the grass near Hampden for a picnic. We used to listen to all the Beatles albums many moons ago - her older brother had the entire collection, and I can remember how in awe I was of both their music and album covers! Her brother sadly died of motor neuron disease several years ago so I am sure the gig was very poignant for her. We had tears at 'Let It Be' - for those remembered. Simply the best sure enough. It has been a dream hoping to hear Paul live one day, and to hear those songs I have loved for so long, to take photos just an incredible experience and my ultimate dream. I thought I never would. 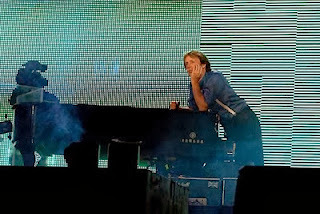 Thank you Paul for the dreams. Unforgettable.